Time to time, I love spending some time designing some “useful” things for my digital cooking affairs. Talking with my wife about cool things we came up with the obvious but strange idea of having a 3D printed apron! Keep reading for the whole story! 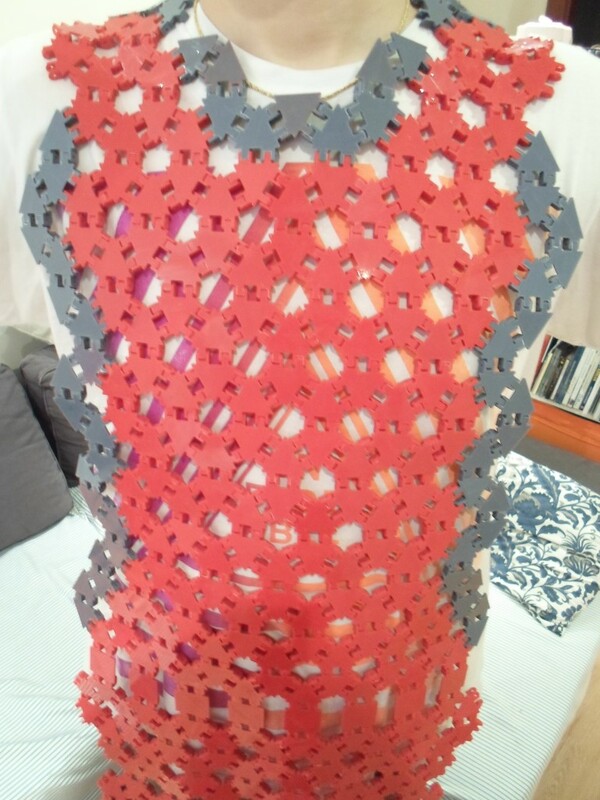 I am a big fan of parametric design, so my first goal was designing an apron full of “voronoi” cells that clip together to build up my 3D printed apron. 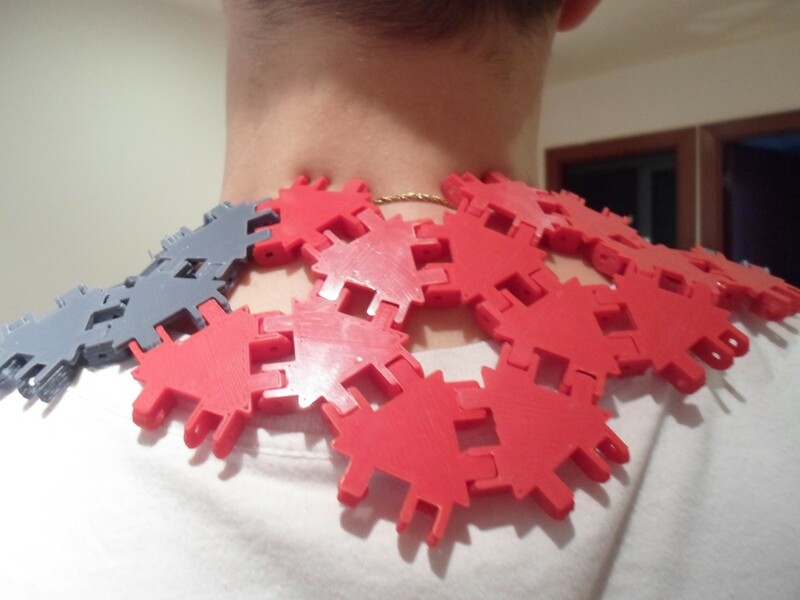 To be honest I wanted to start small, since my voronoi–ninja-skills aren’t great at all. So I decided to simplify the design to some triangles clipped together. 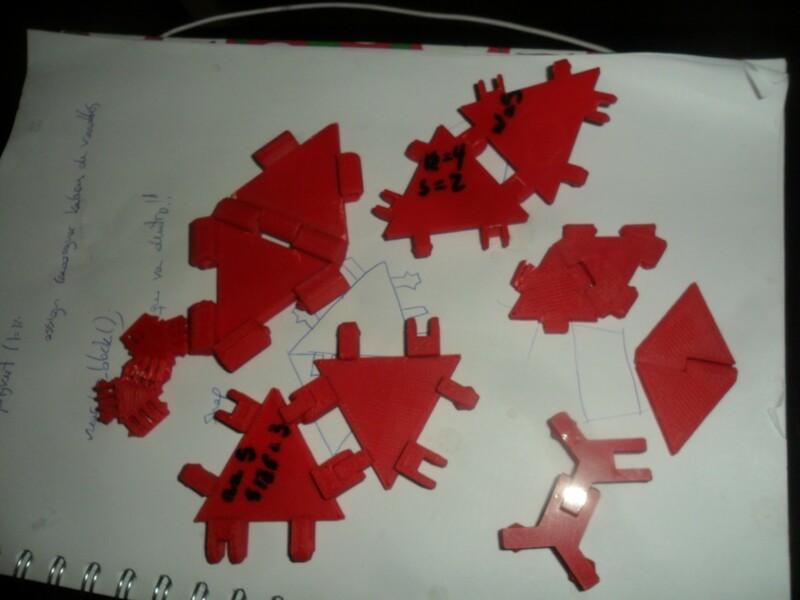 First I looked into some hinges that I could use to attach the triangles. After some random designs and attempts I switch to snap-fit hinges, since doesn’t require “third parties” shafts. Snap-fit are amazingly awesome. As an active-lame-learner I tried my own design, and even if it worked, once I switch to this awesome LIBRARY everything start running smoothly. I could even hear unicorns singing every time I was snapping parts!!!!! Really Michael Rule work is incredible. After getting the right way to joint parts, it was just a matter of iterate parts and lots of prints! 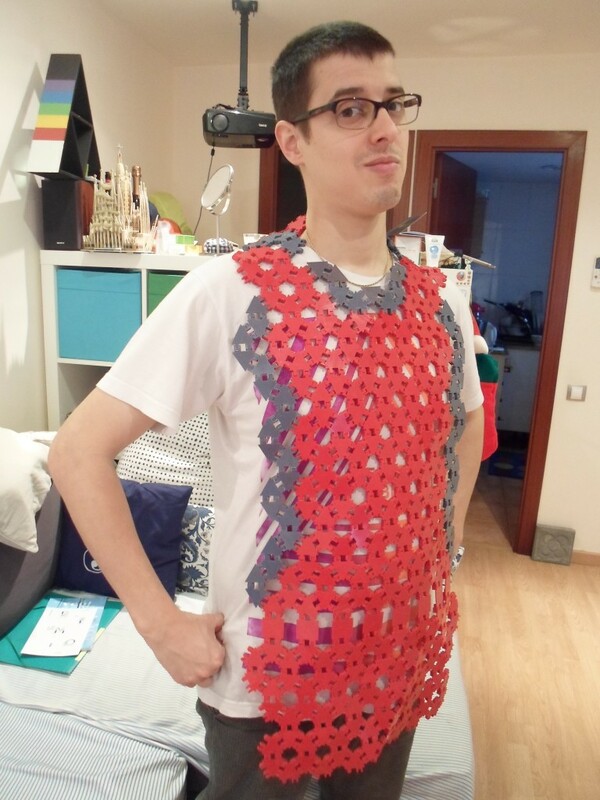 Half way through the printing process I already realize, that this was more a wanna-finish project than truly useful (specially since the apron is full of holes 😉 ). Last week I decide that It was done. 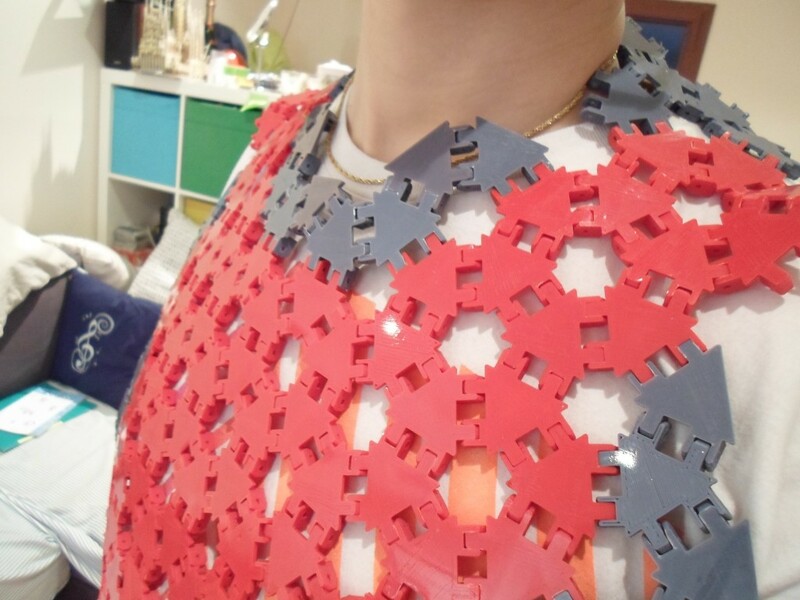 The final design is made out of 260 tiny parts. For every 16 parts it took around an hour and a half, so I guess it took over 16 hours to print the whole thing. It’s important to add that at least i had 4 or 5 failed prints attempts due to Henry was sick (Henry is my printer). So at the end its been over two weeks…….. lots of patience.